Chinese iPhone 7 - how much is it and is it worth it to buy? Should I buy Chinese iPhone 7? Apple continues to delight with stable innovations, but the high cost of the product makes paying attention to the 7 iPhone Chinese. The economic conditions in which many modern people live, do not allow to lower too large sums on mobile equipment. But the desire to stand out by buying a status thing remains, so you have to look for workaround options. "Apple" devices are of excellent quality and, despite the fabulous price, they are in insane demand. The owners of the company are happy to arrange various actions in honor of the release of the new model, demonstrate the process of creating individual parts and describe the advantages of the future creation. In terms of such advertising, it is not surprising that smaller firms want to cash in on those who want to get the seventh iPhone. And first of all it concerns the Chinese, who have been making copies of popular things and equipment for quite a long time. In pursuit of profit, the sellers from the Celestial Empire, long before the official release of the flagship, have already established the release of replicas of photos and videos posted on the network. 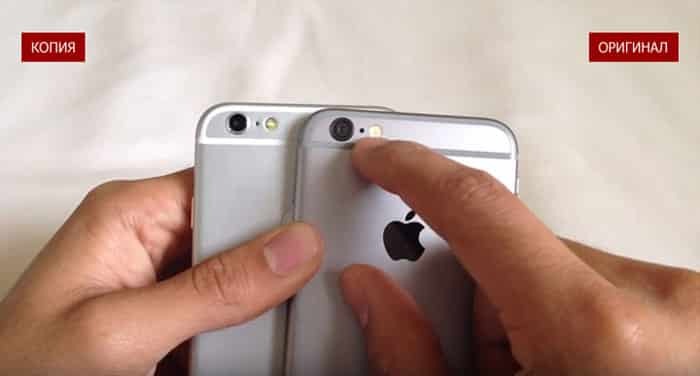 Of course, cheap Chinese copies have long ceased to be synonymous with poor-quality goods, but in the case of an iPhone, it is simply impossible to achieve perfect similarity. Therefore, since the release of the device to the market, the design and “filling” of the replicas have improved significantly, but they are still far from the original. The sales engine is usually served by the beautiful design of sites, professional promotional photos and positive reviews, not always real. 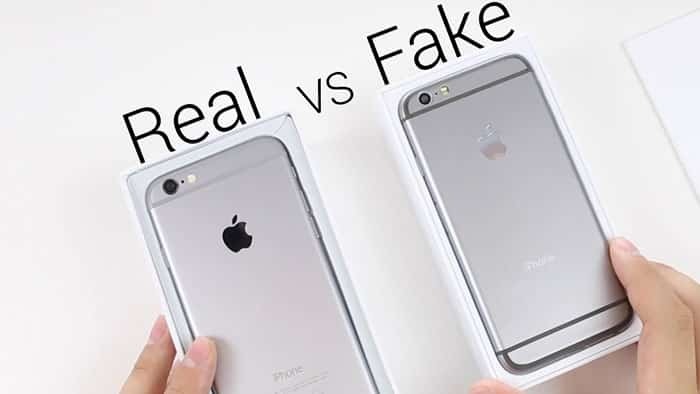 Because of this, the descriptions presented on the pages do not always correspond to reality, however, fans of Apple smartphones continue to be kept on a beautiful picture and an attractive price. This is understandable: a replica of relatively tolerable quality can be purchased for 6990 rubles. and cheaper, depending on the hardware used and the place of purchase. 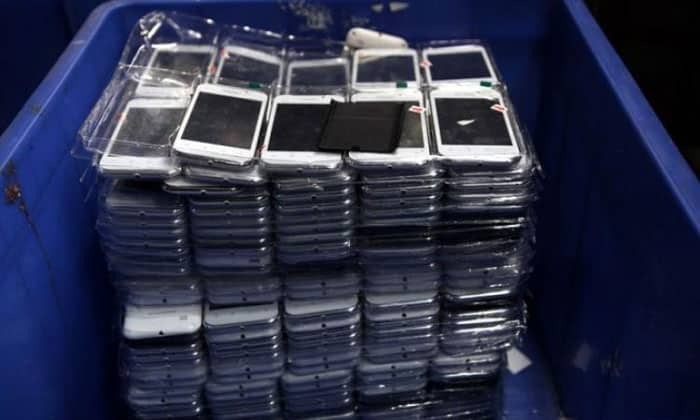 However, the cost of high-quality fakes will reach 15 thousand rubles, but the performance of such a device will not definitely upset the owner. The 7 iphone plus from China is far from being produced by one company, so the parts and materials used in the assembly are significantly different. Because of this, there are difficulties not only in finding a quality gadget, but in the event of a breakdown, since it is difficult to find the appropriate components. In addition, the manufacturers of the Middle Kingdom are constantly experimenting with processors, installing different models in each new batch, as a result of which the device performance is not stable enough. However, to attract customers, the lion’s share of attention has to be paid to the packaging and design of the smartphone. Most sellers are trying to provide an identical box and are indistinguishable from the original case of the device, but you can find minor flaws: less quality material, a vague logo, hieroglyphic inscriptions, etc. However, this applies only to packaging - the device itself is very difficult to visually distinguish from a real smartphone . It is necessary to pay tribute to the producers from the Middle Kingdom: recently, replicas have become increasingly better, and very good materials are used. For example, almost no one replaces the metal in the housing with plastic, as a result of which the strength of the device increases even when using budget funds. However, the complexity is still due to the factor of uncertainty, because anyone can not be lucky with the acquisition. And there will be no one to make a claim in case of failure, because companies prefer to keep incognito. The “insides” of the iPhone 7 Plus replicas are much inferior to the original, so for the owner of an older version of the device, buying a Chinese clone will not be justified. If to understand more carefully, it should be said that noticeable discrepancies are detected even when viewing the display. Apple's smartphone has a screen with improved color rendering, equipped with many nice features and useful settings. However, the replica is unlikely to please the same. Most likely, the gadget will have a regular display with a diagonal of 4.7 inches and a resolution of 800 × 480 pixels. Less commonly, you can count on 1280x720 pixels. In this matter, manufacturers are trying not to deviate much from the original characteristics, but without the use of Apple technologies, the sensations from using a smartphone are not so bright. 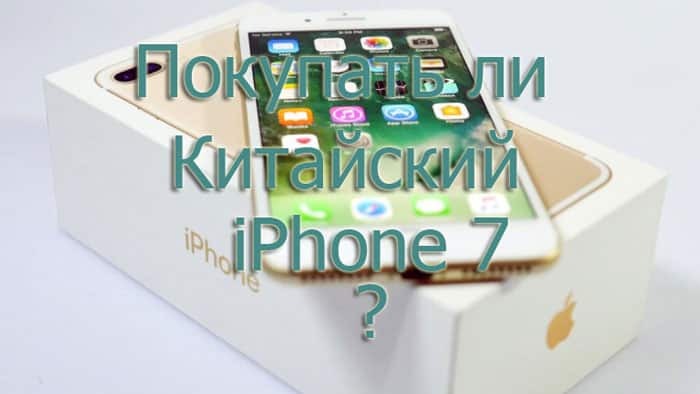 The Chinese copy of the iPhone seven does not shine and the camera. Expect good detail and high-quality images in all weather conditions is not necessary, but some successful replicas can make good photos in the sun. They install rather weak modules, which are often inferior in characteristics to other models with which other smartphones from the Middle Kingdom are equipped. Even more complicated is the “stupid” camera interface. Of course, the Chinese have no place to take the original iOS, so you have to dodge, creating a shell with a similar interface. At least approximately copy the appearance of the software manufacturers managed relatively recently. Until now, in some submenu items there is Chinese, but in general, the implementation of the OS came out decent. 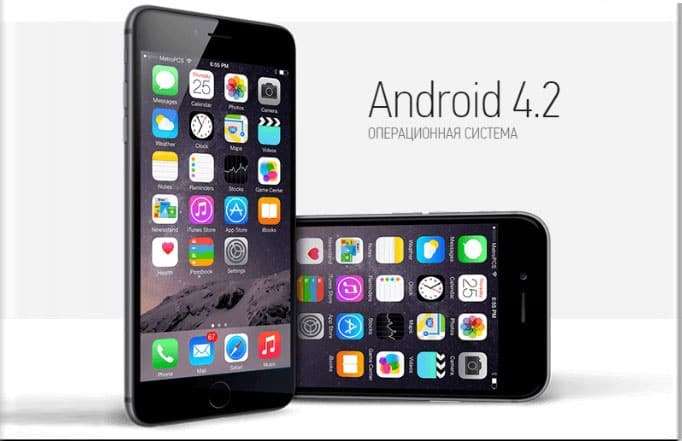 Copies of the iPhone 7, which is not surprising, work on Android. The operating system version can be any: from 4.2 to 6.0. This parameter does not affect the performance of the shell, but when using it, you will have to remember that you will need to download third-party software from Google Play. The rest of the software does not cause any complaints, although the gadget is not insured from rare freezes. System performance will also depend on the installed processor. The most budgetary variations of the smartphone can not boast speed, because they often get a chip from MediaTek with 2 cores. And only models worth about 10 thousand rubles. will have a 4-core processor. However, some users and this is not enough. In most cases, replicas are released with 512 MB memory, which is not enough to run multiple applications simultaneously. With storage everything is better - its volume can reach 64 GB. But what's the point if there are not enough resources for the work of "heavy" programs? The capacity of the battery is small and the original technology Apple, but the Chinese replica finally upset. In the best case, the smartphone will install the battery on the 2000 mAh, but not everyone is lucky. As a result, a fake will work only about 5 hours with active use, after which you will need to recharge. Thus, buying a replica is the solution for the most desperate. The rest can be advised to purchase a flagship running the Android OS for the same amount or buy the original smartphone. This will help "Banderolka" - delivery service, offering a discount on Apple equipment. You can find out the cost of an exact copy of the iPhone 7 here. If desired, you can also order there. Appsgames⟾Miscellaneous⟾Should I buy Chinese iPhone 7?